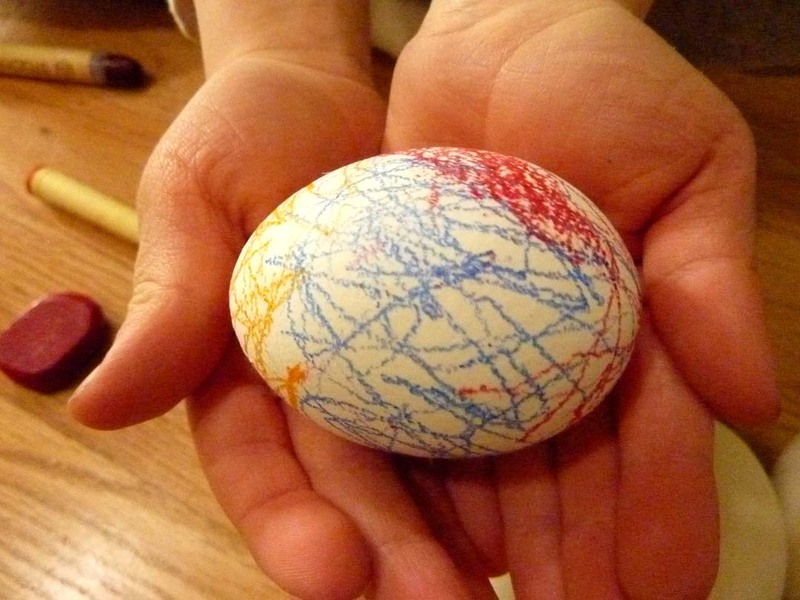 We dyed some eggs today to celebrate Easter. I made my own dye last year. In the midst of our continual chaos, I had less free time this year than last. 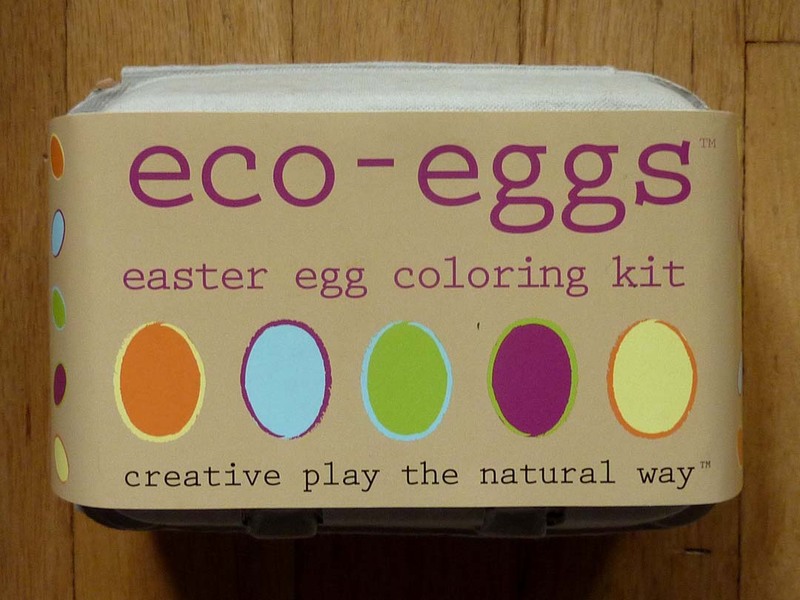 I bought an egg dye kit. 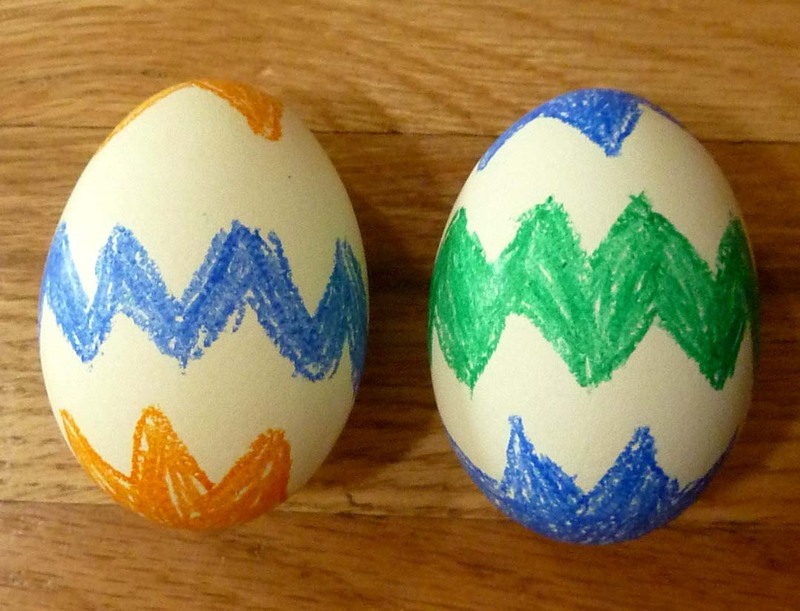 Henrik and I both decorated the eggs with crayons. 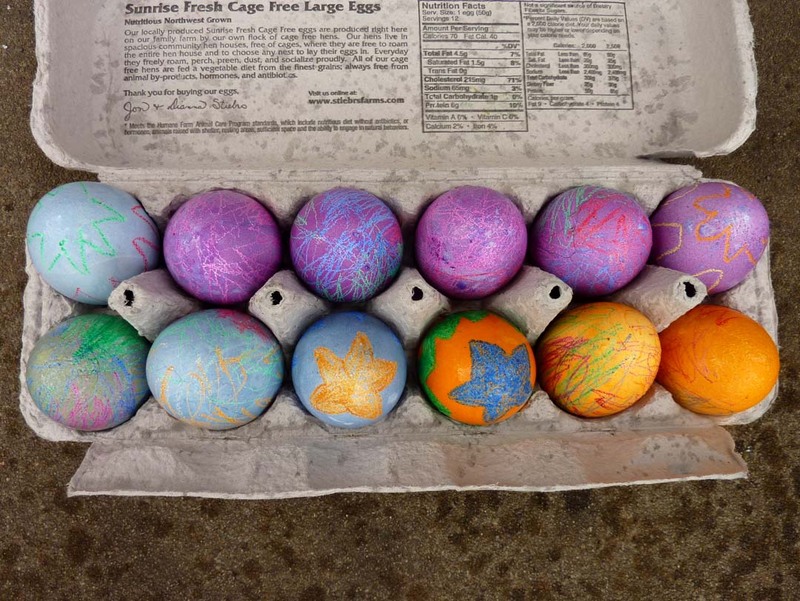 Henrik made rainbow eggs. I made Charlie Brown eggs. 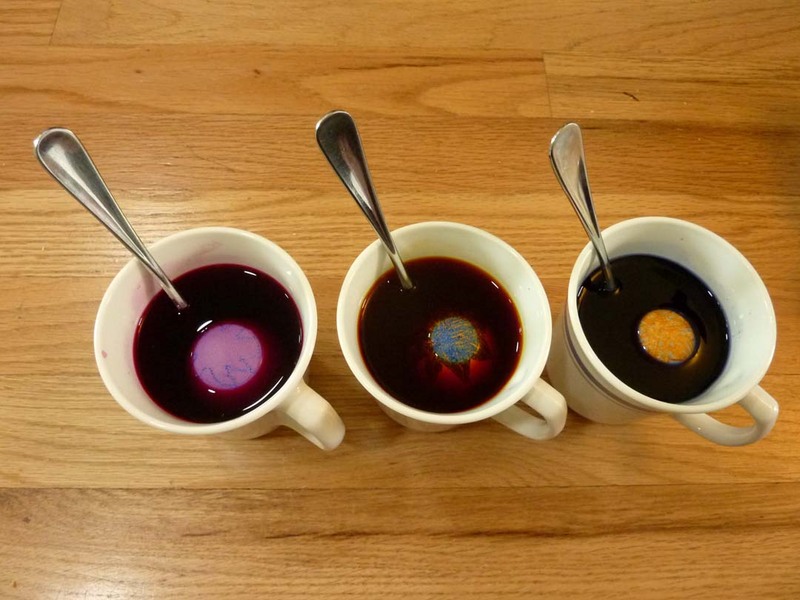 The dyes came in purple, orange and blue and we made eleven eggs in those colors. 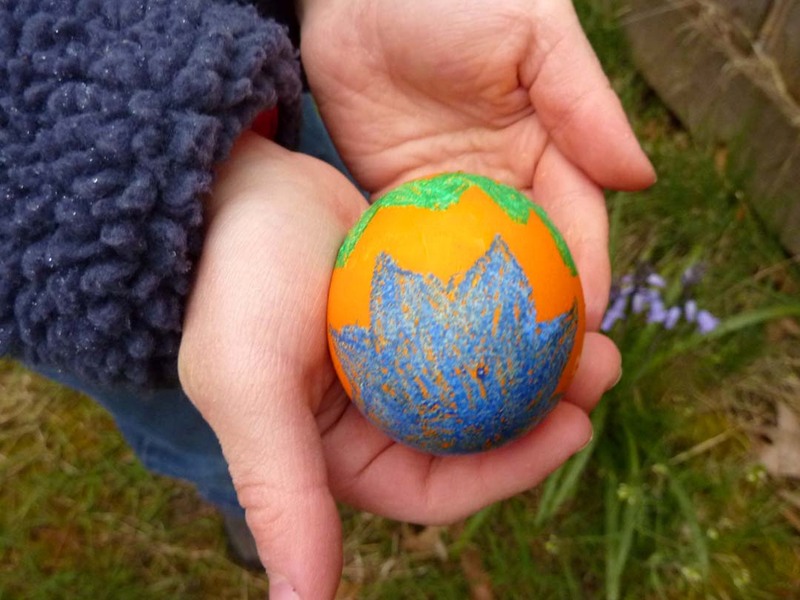 Henrik also made one green egg, which was a mix of the blue and orange dyes. The orange is the most vibrant and I like it the best. All the colors were Henrik’s favorite. Rob hid the eggs and Henrik had to race to find them as it began to pour on us. We also had to dodge the rain last year and it seems to be a Portland trend. 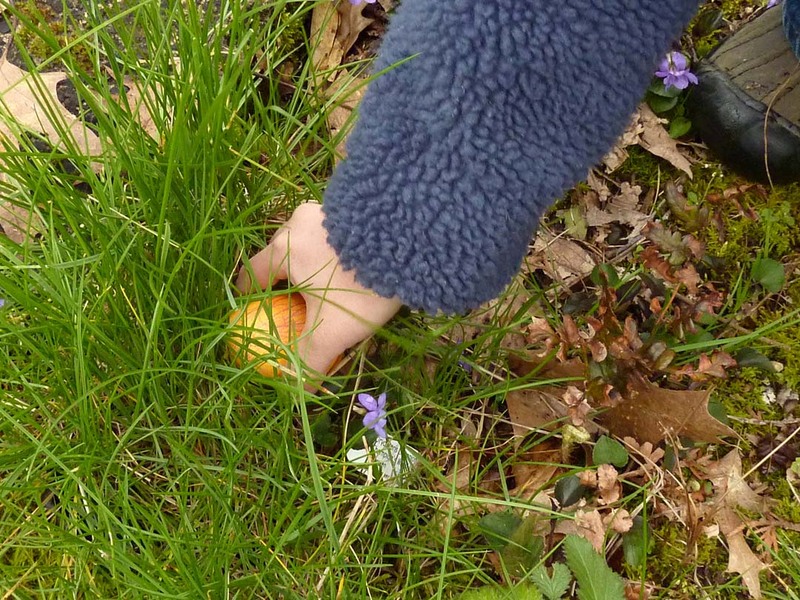 Henrik organized the eggs after he found all of them. I hope to start working on some deviled eggs tomorrow. We started painting the exterior of our house yesterday. I have strongly disliked the exterior color of our house since we bought it. It is part brown, part orange and completely lacking in beauty. Henrik picked the new color, which is not surprising considering his love for the color red. 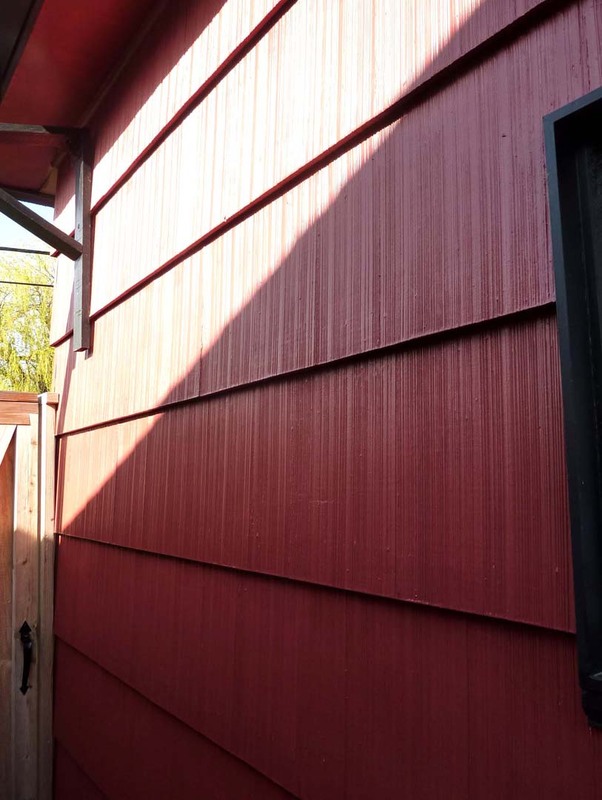 The other house that was the strongest competitor when we were buying our current house was barn red. 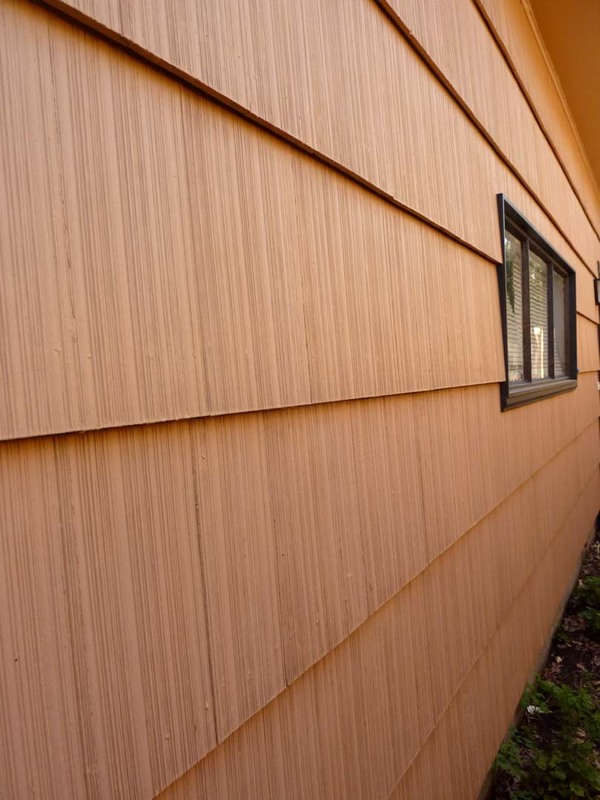 We really liked the color and we are very excited about how the new color looks on our house. We had a beautiful sunny day on Saturday. We only finished one of the long sides, but we learned a lot about the process (we have only painted inside before) and we are looking forward to another sunny day next weekend. Hope you enjoyed some sun and/or some Easter festivities this weekend. 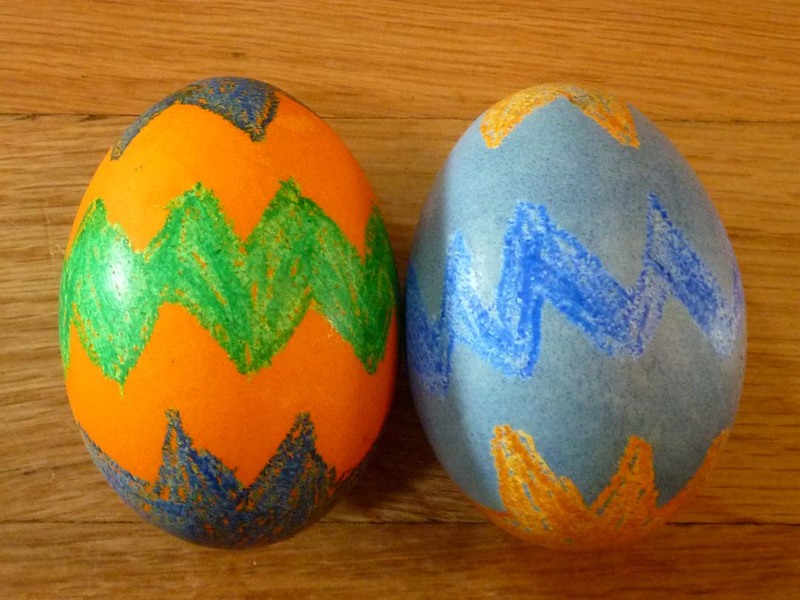 This entry was posted in Beauty, Enjoy, Family, Kid Craft, Learn, Seasonal. Bookmark the permalink. 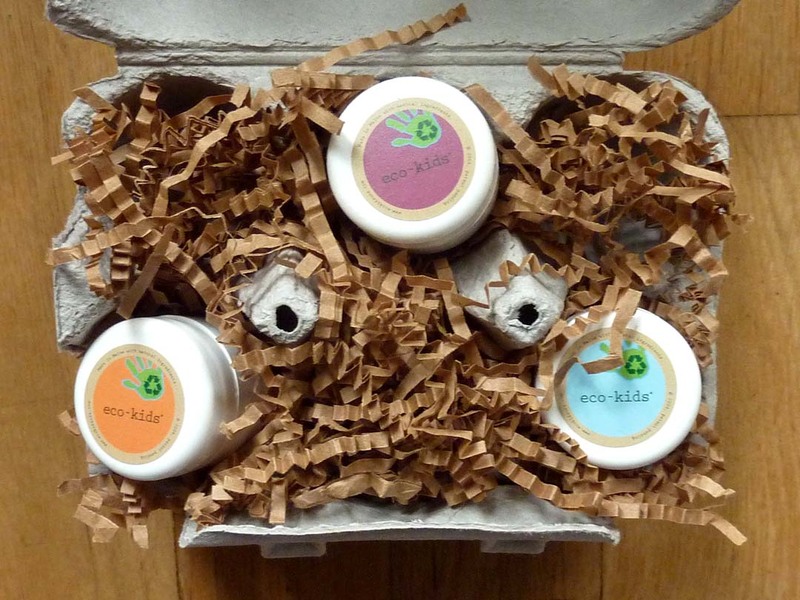 This entry was posted in Beauty, Enjoy, Family, Kid Craft, Learn, Seasonal, Uncategorized. Bookmark the permalink.